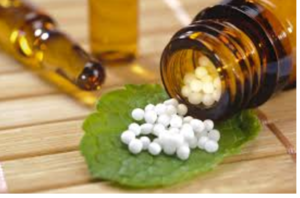 Ten ridiculous, super-gross and weird homeopathic remedies: I thought I knew all about homeopathy: you take a substance that provokes a reaction in the body (like heals like), dilute the bejesus out of it (until there is no more of it present in the solution) and call it a cure. And there’s some banging on the vessel somewhere in the process. But I thought it involved various herbs and toxins. I had no idea the wackiness involved in the “practice” of homeopathy. Frank van der Kooy has served up a sample of ten homeopathic remedies that are hard to believe. And if you doubt their authenticity, simply click on the hyperlink for each example and you will be whisked to an official homeopathy web page explaining the treatment. I think my favourite is the homeopathic preparation made from a black hole. Unbelievable. If vaccines are a scam to make money, why don’t we routinely vaccinate for diseases like cholera? Anti-vaxxers insist that vaccines are simply a scam by big companies who don’t mind poisoning children in the name of profit. They insist that vaccines are dangerous/unnecessary and doctors and health agencies only “push” them because those doctors and agencies have been bought off. Religion is no excuse for anti-vax nonsense: Attempts by anti-vax campaigners to invoke religion as a way of dodging vaccinations for their children is an excellent example of the limits the state rightly puts on religious freedom. Immunotherapy: The next frontier in cancer treatment: After immense scientific effort, with great respect for potential risks, medical science is exploring the use immunotherapy for cancer treatments. Reflect on the carefulness of this approach, and the risk management involved. Then compare this with the approach of alt-med claims of “boosting the immune system”. “I believe we are at the end of the beginning of using immunotherapy for cancer,” says Gedye. He predicts an enormous period of consolidation is coming when the data will be analysed to see what is best for who and in what combination and sequence. Gedye was part of an international cancer team that this year created an in-depth atlas of the micro-environment of tumours. Its aim is to build a clearer picture of how the immune system is involved with cancer. While the grand aim of immunotherapy is to achieve a cure, the pragmatic one is to transform cancer into a chronic disease, like diabetes, that can be managed over time. While immunotherapy offers great promise, Smyth says that, in the push for more curative results, there is a risk of breaking the tolerance by the immune system and encountering toxicity. The immune system is heavily regulated to stop us damaging our tissues and creating autoimmunity – where the body turns against itself. Colitis and hepatitis are among some of the most serious toxicities seen with this therapy to date. “But for patients with advanced cancer, this is a trade-off they can live with because these toxicities can be managed, mostly with simple things like steroids,” Smyth says. New evidence finds dementia treatments fall short: Psychological improvements are inherently hard to measure, thus nailing down strategies for preventing or slowing cognitive decline in dementia is difficult. Recent reviews show that some of the most widely used strategies for managing dementia have no real ‘evidence base’ at all. It is clear that further, more comprehensive studies that follow patients over years and decades are required. The Invention of the Apgar Score for Newborn Babies. It happened here: Apgar score: This “ridiculously simple” system for evaluating a baby’s health after birth has helped to save tens of thousands of lives the world over. Pulse and Tongue Analysis: A misguided study to test the reliability of traditional chinese medicine pulse diagnosis: In the late 1950s, the Chinese government set up an experiment in which many well known masters of Chinese pulse diagnosis were asked to examine a patient. Their findings varied widely, and as a result pulse diagnosis was judged to be an unreliable scientific diagnostic tool. In a 2008 study, TCM practitioners were shown photos of tongues and filled out questionnaires. There was very poor inter- and intra-practitioner reliability even for simple dichotomous choices. None of which stops TCM practitioners from claiming that they can use pulse and tongue analysis to get a “perfect picture” current and past heath. They even go so far as to say that if two practitioners disagree, they must both be correct. What rubbish! !